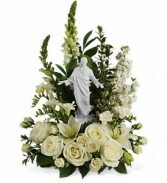 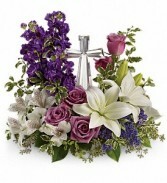 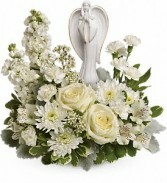 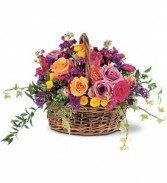 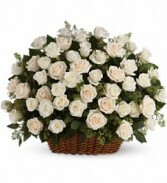 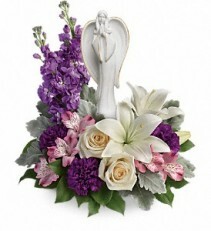 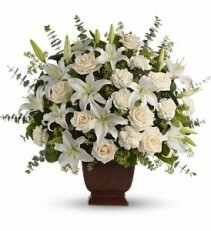 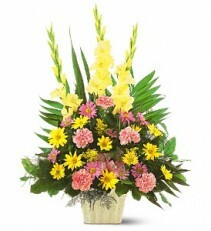 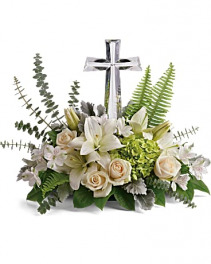 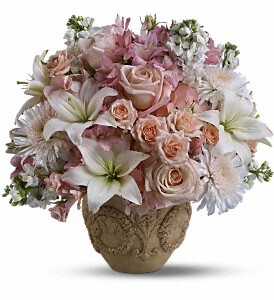 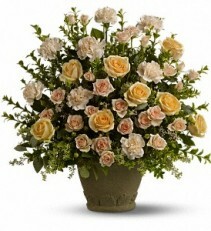 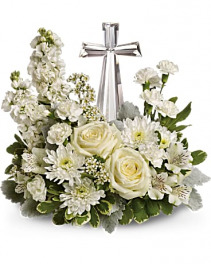 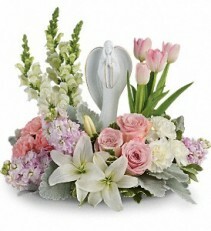 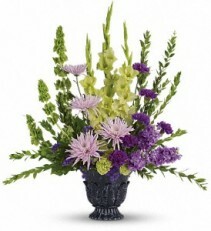 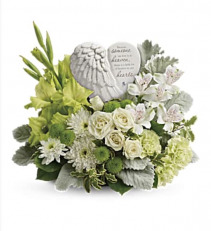 Fresh mixed flower sympathy arrangement with ceramic angel wings incorporated into the arrangement. 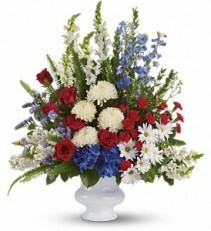 A beautiful tribute sympathy piece for the patriotic. Red, white and blue flowers with mixed greens.